Nature has inspired painters down the ages and still continues to do so. 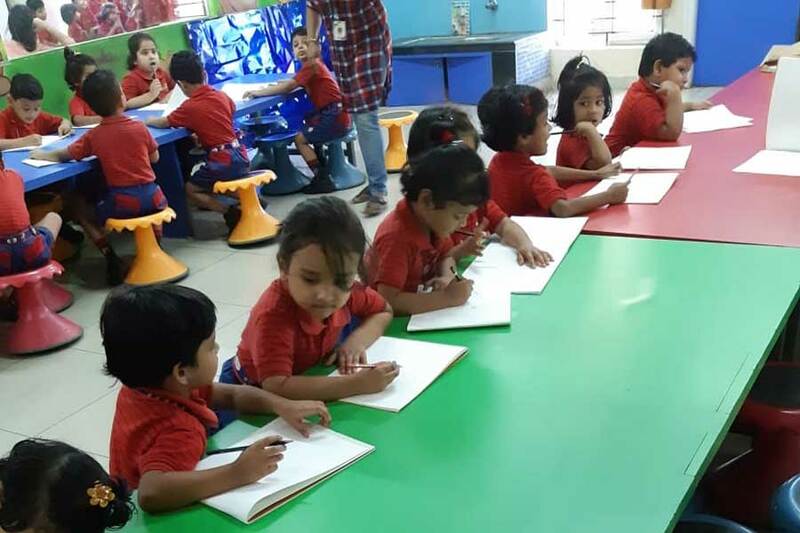 One can portray the beauty of nature and can create a beautiful scenery with pencils, pastels, water colours etc. 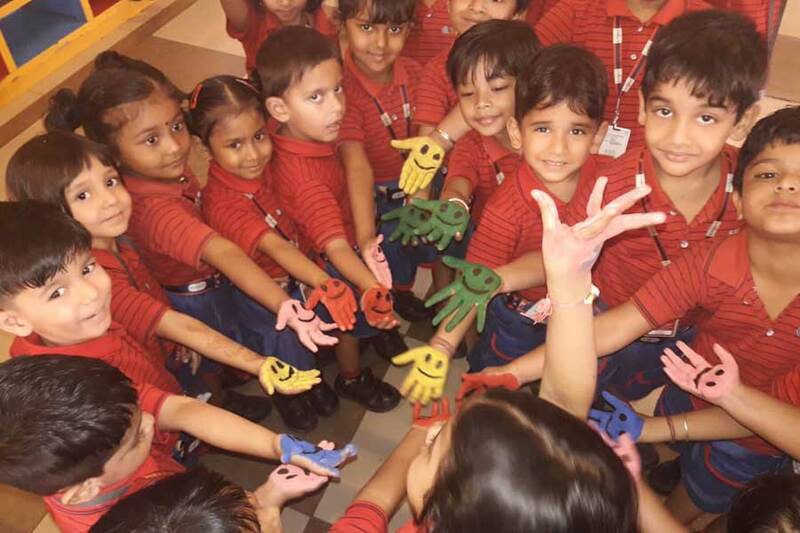 Art has recently gained recognition for its overall contribution to the personality development of children. 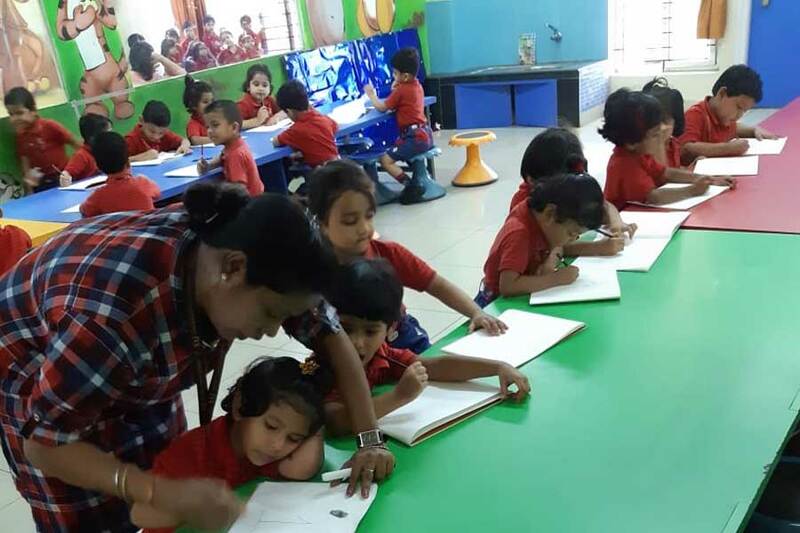 We believe the journey of art starts with a scribble, an innocent movement created with a pencil on a piece of paper. 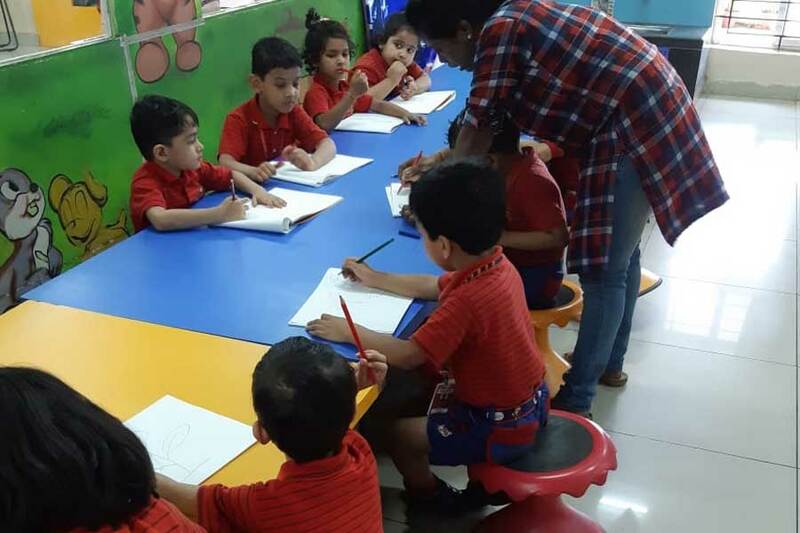 Students of KG I have started drawing different shapes and zig zag lines which enhance their motor skills. 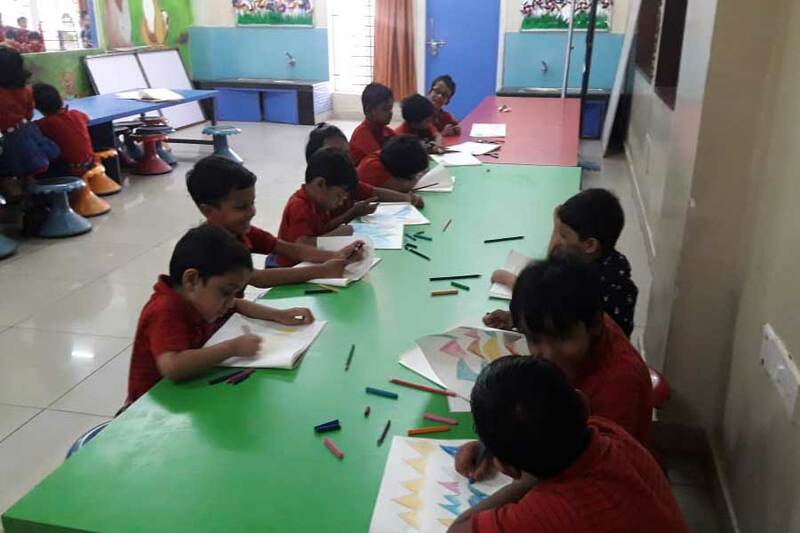 Starting to draw as early as possible will help them to improve their hand and eye coordination simultaneously fine- tuning their finger muscles. Like beauty is everywhere so is Art!